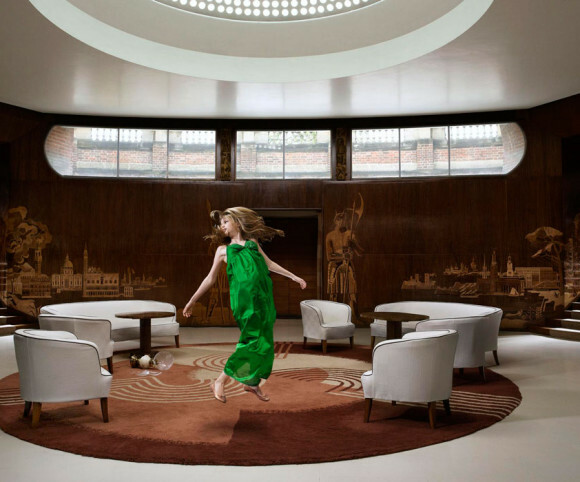 The world of Julia Fullerton-Batten Julia Fullerton-Batten (Bremen, Germany, 1970) in the “Teenage Stories” series is that of Alice in Wonderland. Alice’s character takes on different faces with the girls, as if we were at a masquerade ball. Sometimes Alice is sleepwalking, other times she is looking at her own reflection like Narcissus, and in others she seems to have been beaten up, or in the full-flight of fantasy. This psychological rapprochement to girls in transition to adolescence is still strangely disturbing, full of questions and authenticity. The game of her characters is nothing but a trick to disguise a decisive moment in their lives; the end of the age of innocence. This idea of transition is depicted in the “In Between” project with a visually-striking suspension of time. Julia generously and sincerely offers us an autobiographical work displaying unlimited technical skill and dramatisation calculated down to the last millimetre that does not take away from us one iota of the freshness and spontaneity of her work. 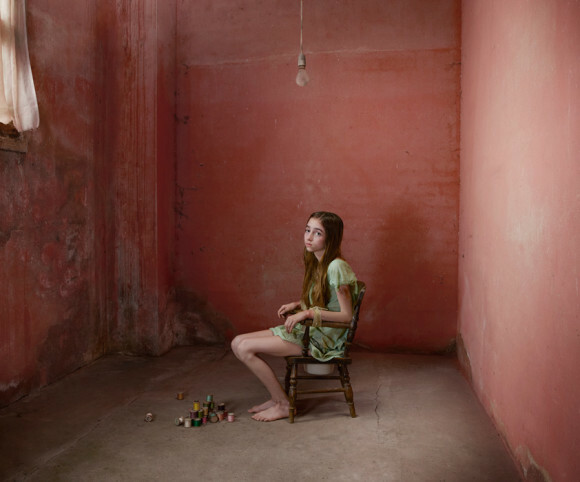 On her latest projects she seeks alternative contexts and characters that she questions with a great ability, like in the “Unadorned”, “Feral children”, and “Old Father Thames” series.